Security forces issued citations for 25 moving and seven nonmoving violations. Jan. 19: Security forces military working dogs and handlers assisted Surprise police with a bomb threat situation. There were no findings. Surprise police assumed control and conducted further investigations. Jan. 22: Security forces responded to a report of a medical emergency in base housing. Upon the arrival of security forces, the individual was being treated by on-base medical services. The individual was transported to a nearby hospital for further treatment. Jan. 23: Security forces responded to a report of a medical emergency in base housing. Upon the arrival of security forces, the individual was being treated for chest pains by on-base medical services. The individual was transported to a nearby hospital for further treatment. Jan. 21: Security forces responded to a report of shoplifting at the base exchange. Security forces detained a dependent after video evidence confirmed items taken without rendering full payment upon leaving the building. Glendale police responded and assumed control of the situation. Jan. 22: Security forces responded to a report of shoplifting at the base exchange. Security forces detained a dependent after video evidence confirmed items taken without rendering full payment upon leaving the building. Glendale police responded and assumed control of the situation. 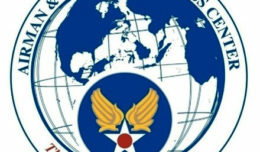 Jan. 23: Security forces responded to a report of Airmen carrying a passed-out Airman up a stairway. Security forces determined all Airmen involved were underage and had consumed alcoholic beverages with the exception of one. Security forces contacted medical to tend to the passed out Airman and provided first aid until medical arrived and took control. 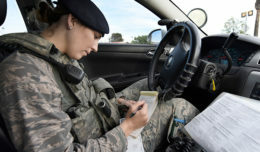 The other Airmen were apprehended for Article 92/Failure to obey a lawful order and released to their first sergeants. <p class="p2"Security forces responded to two alarm activations on base. Avoid driving when tired. Be aware that some medications cause drowsiness and make operating a vehicle dangerous and in some cases illegal.